The Instant Pot is becoming more and more mainstream, and it’s easy to see why. 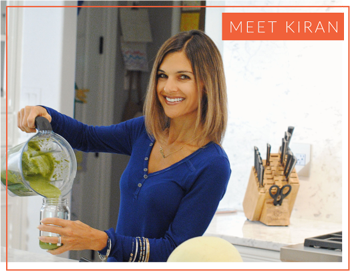 A multi-functional appliance, it is one device that can do everything from cook yogurt to act as your slow cooker. The InstantPot has gotten the nod from those limited on kitchen space to those who just want to simplify and minimize the appliances. 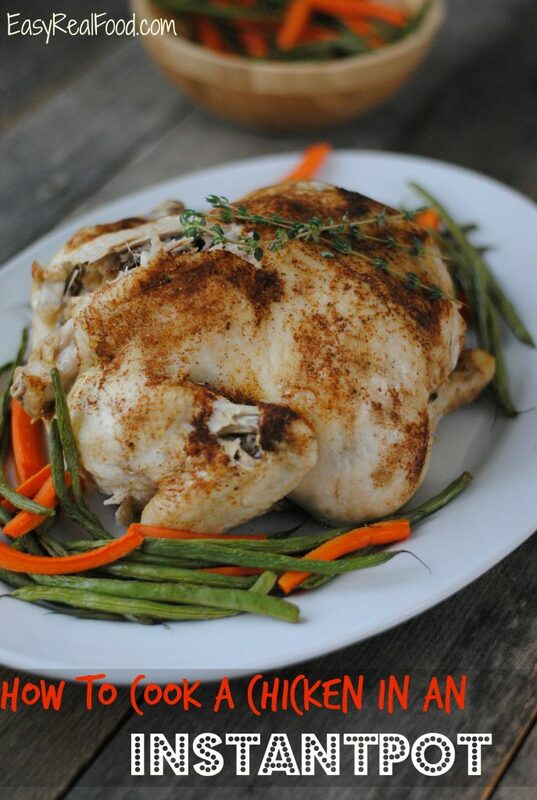 Oh, and lets not forget those who just want to make some quick meals, like the one I’m sharing today: how to cook a whole chicken in an Instant Pot. Cook a Whole Chicken in an Instant Pot – easily! 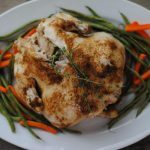 I’m certain that this recipe will quickly become a staple in your house: cooking a whole chicken in the Instant Pot. It’s cooked in 25 minutes flat and can be used in so many ways – think plain chicken served up with sides (the obvious), but did you know that it also shreds easily and can be the main ingredient in chicken salad, chicken pot pie, enchiladas, chicken noodle soup and so many more dishes? Yep, cooking a whole chicken in the Instant Pot is a recipe that you will come to time and again. Keep it on hand for this week, of freeze some of it for another week when you’re short on time. The options are endless! I typically purchase a 4-5 lb. chicken, which is how the recipe is written. If your size differs, you’ll need to adjust the cooking time. The seasonings are at your discretion also. Perhaps you just like salt and pepper, or maybe you want to try lemon pepper seasoning, or an Italian blend. Adjust if needed. How to cook a chicken in an InstantPot or a pressure cooker. Place 1 cup water in the Instant Pot. Next, place the steam rack into the Instant Pot. This will help with removal of the chicken once it is cooked. In a small bowl, mix paprika, thyme, salt and pepper; rub mixture over chicken and then place chicken onto steam rack in the Instant Pot, breast side down. Lock the lid and select "Poultry"; adjust cooking time to 25 minutes. When finished cooking, let steam release for 15 minutes. Ensure that steam is released before removing lid. Let cool before lifting out of the Instant Pot. While the chicken was cooking, I roasted some vegetables which were ready when my chicken was. And I even got to help my daughter with homework while they were both cooking. What a multitasker, right?! A few notes: when you are finished, don’t discard that liquid. It’s yummy broth and can be the starter to some soups! Ditto goes for the bones. Save those suckers and make it into more of the delicious soup starter. Oh, and if you’re tempted to throw your veggies in with your chicken, just know that it will be more of a stew when they are done. Now tell me – what do you like cooking in your InstantPot? And if you don’t have one – you must check them out. Click here to find out more!